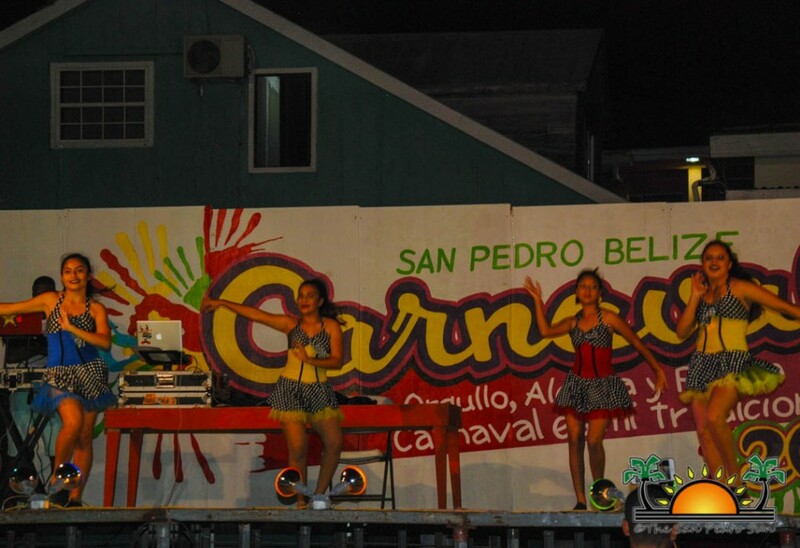 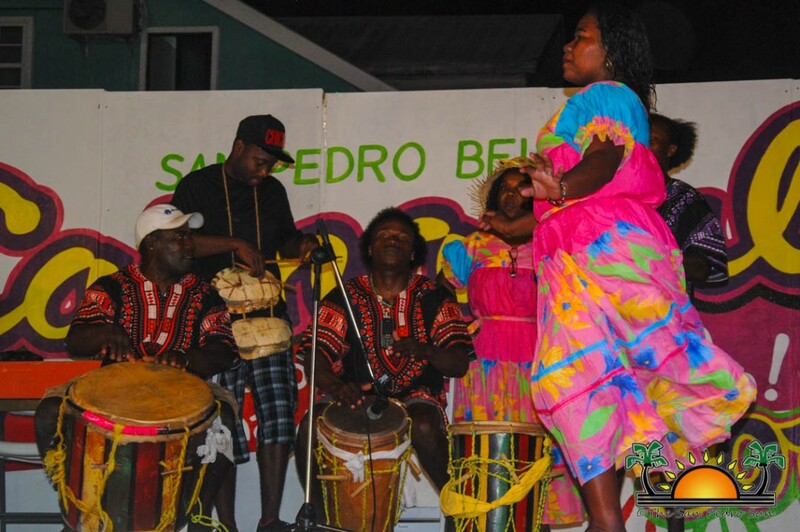 Home » Entertainment » El Gran Carnaval de San Pedro has started! 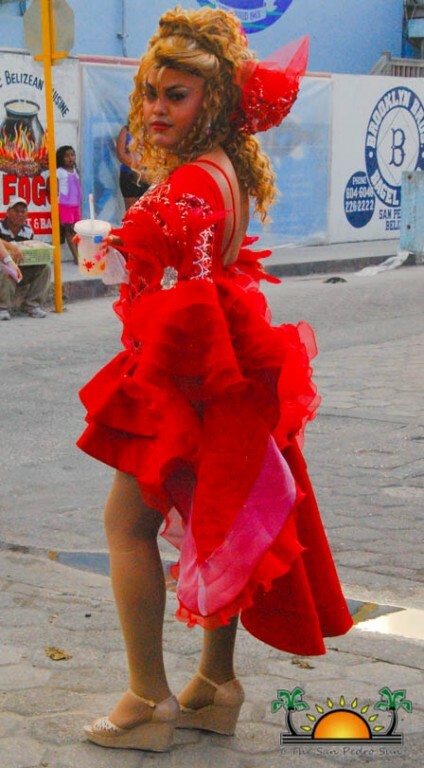 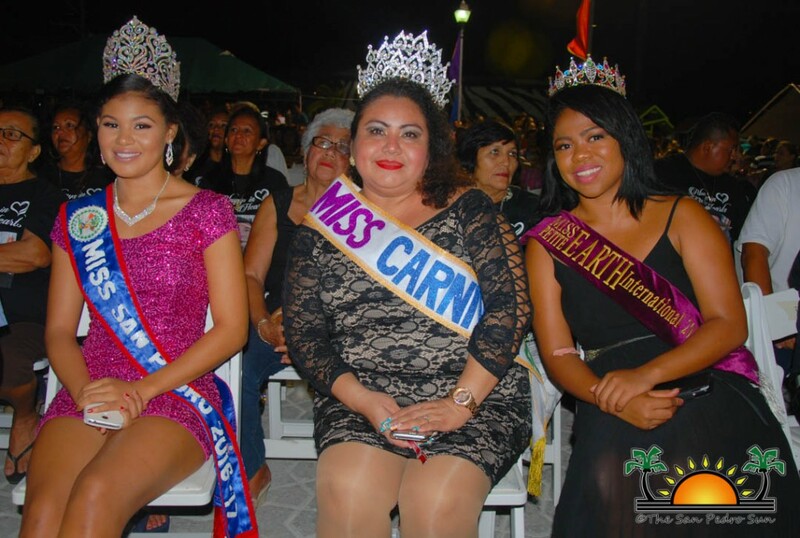 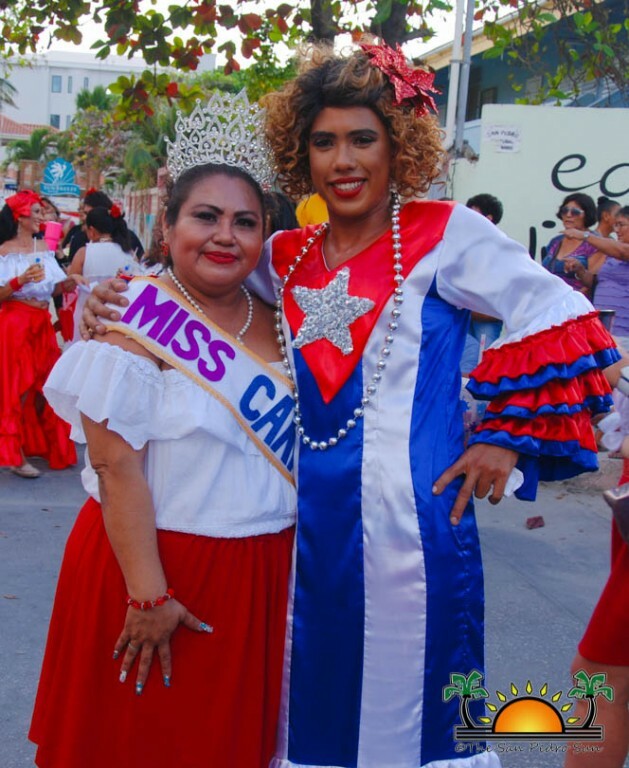 The Carnaval fever has once again invaded San Pedro Town as the annual ‘El Gran Carnaval de San Pedro,’ tipped off this past weekend. 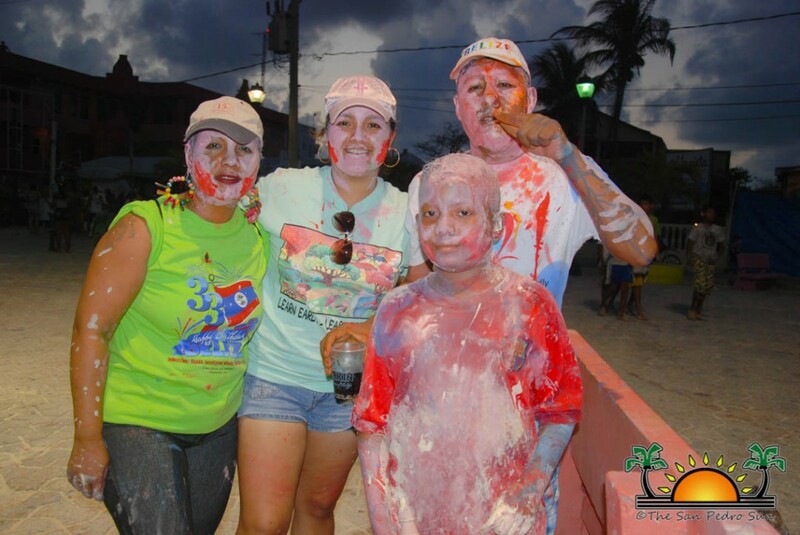 With the official ceremonies and block party on Saturday, February 25th, the festivities so far have been bigger and more colourful than ever. 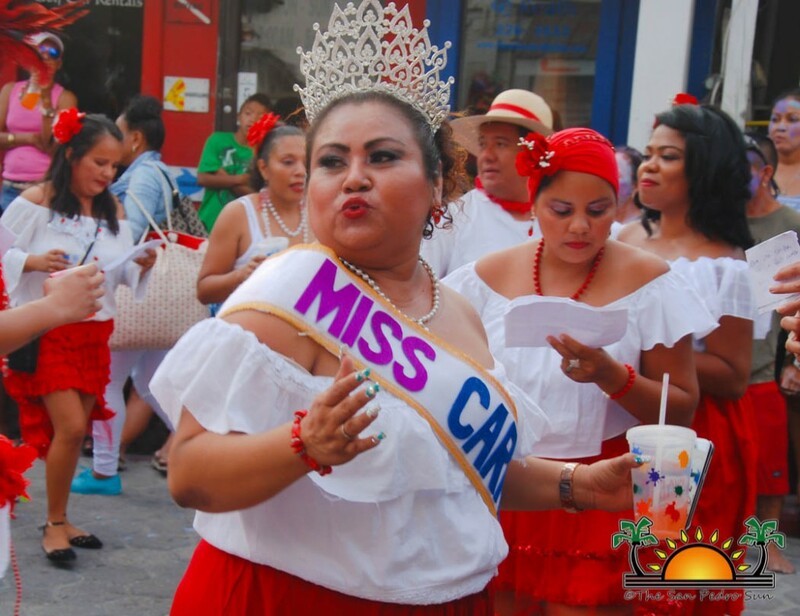 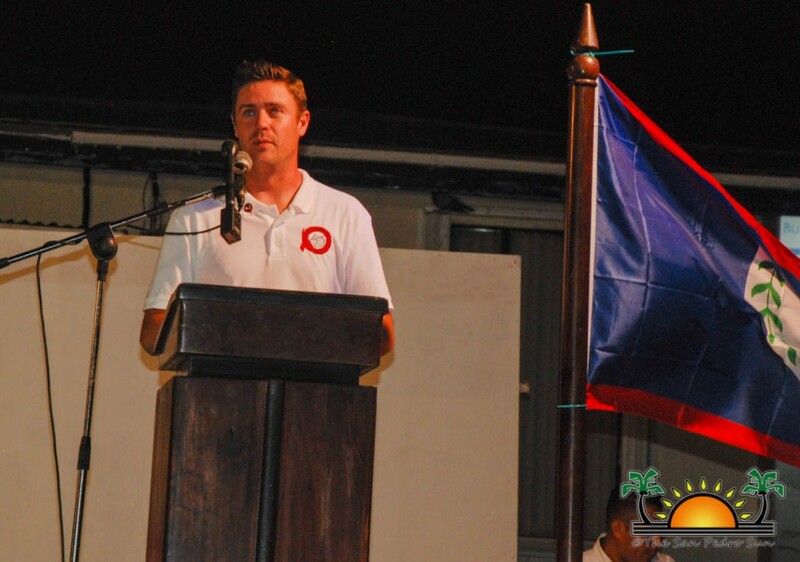 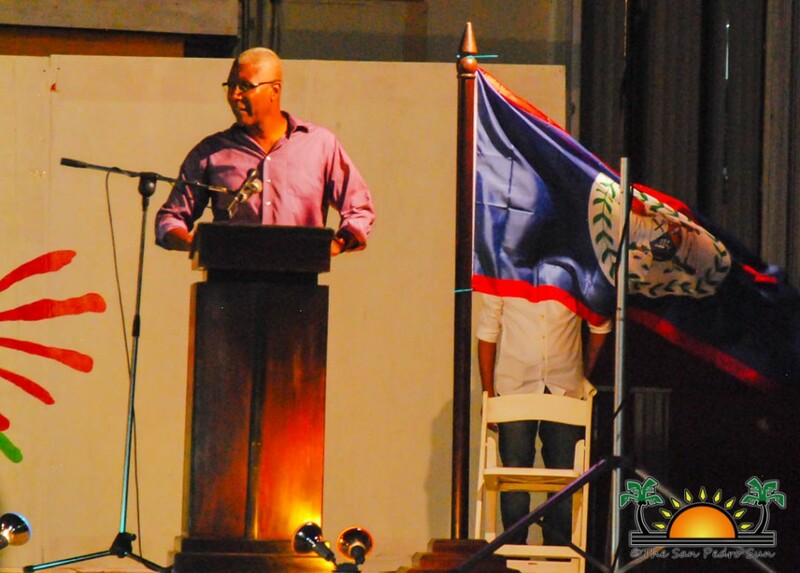 The San Pedro Town Council held the official ceremonies at the Central Park, where speeches from the organizers of the Carnaval as well as Mayor Daniel Guerrero were delivered. 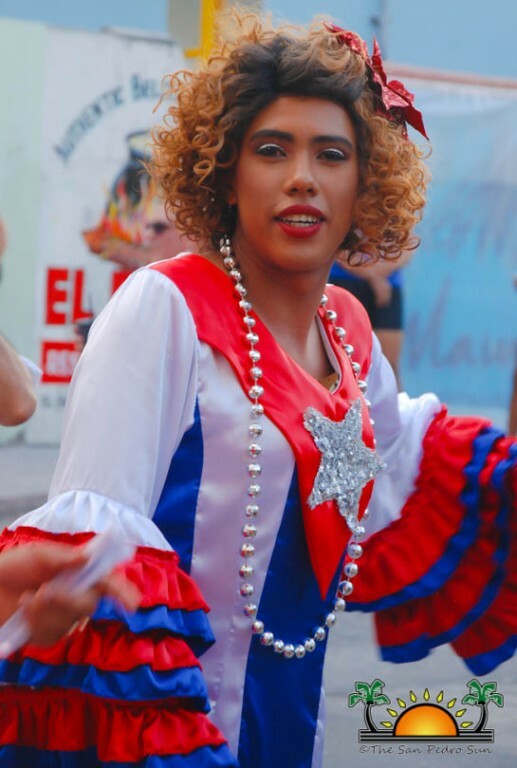 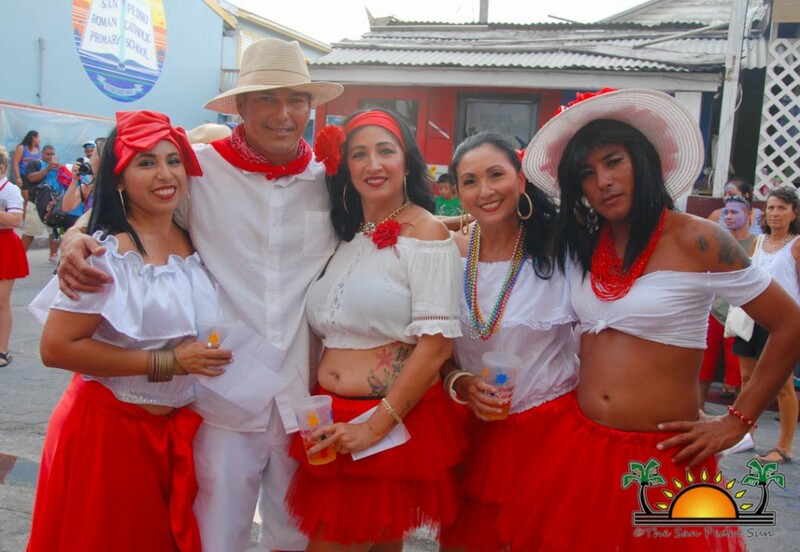 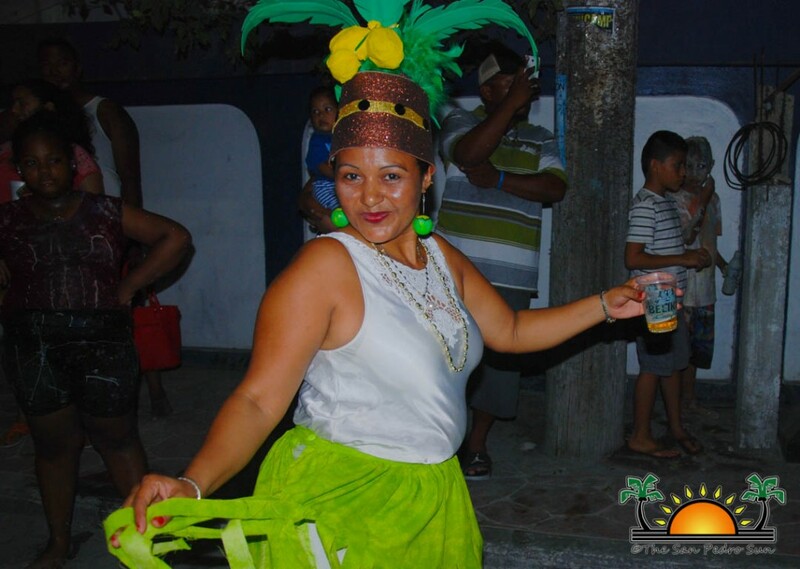 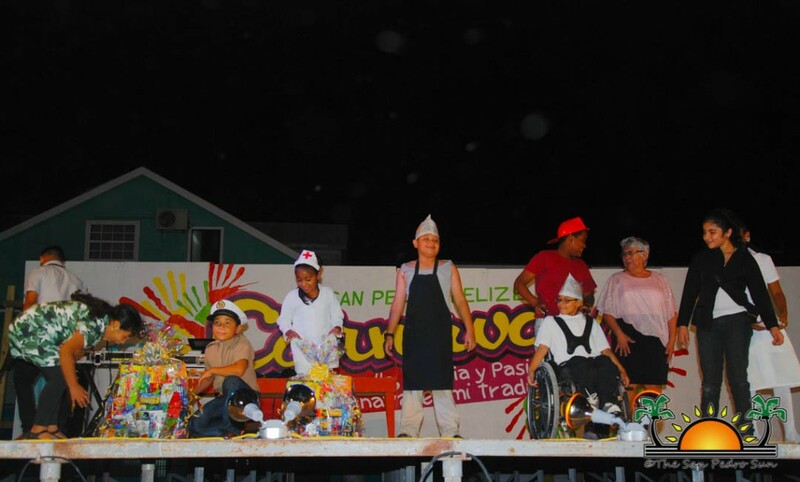 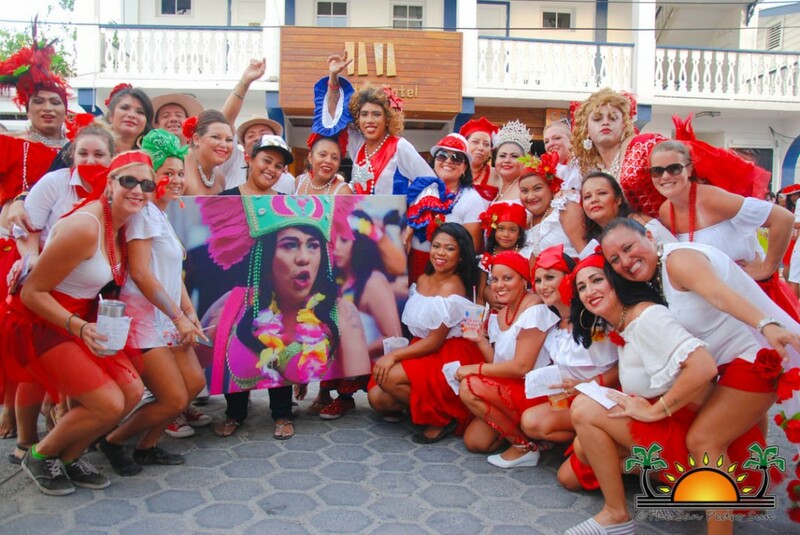 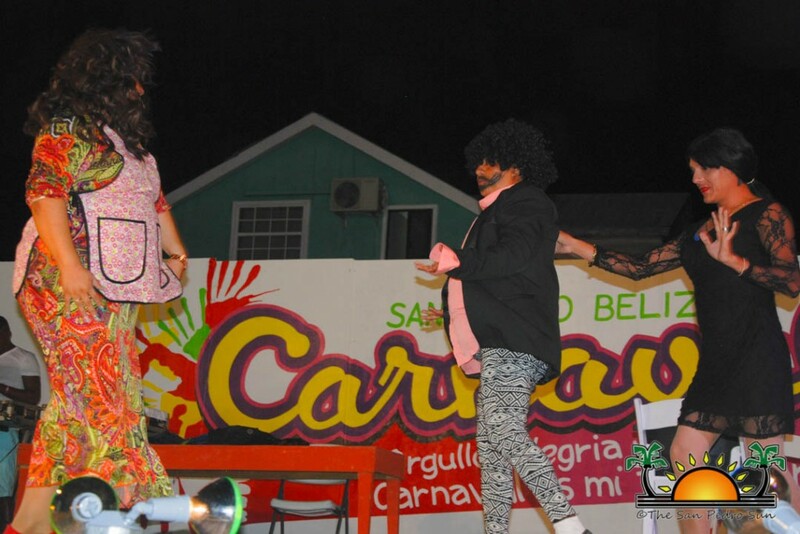 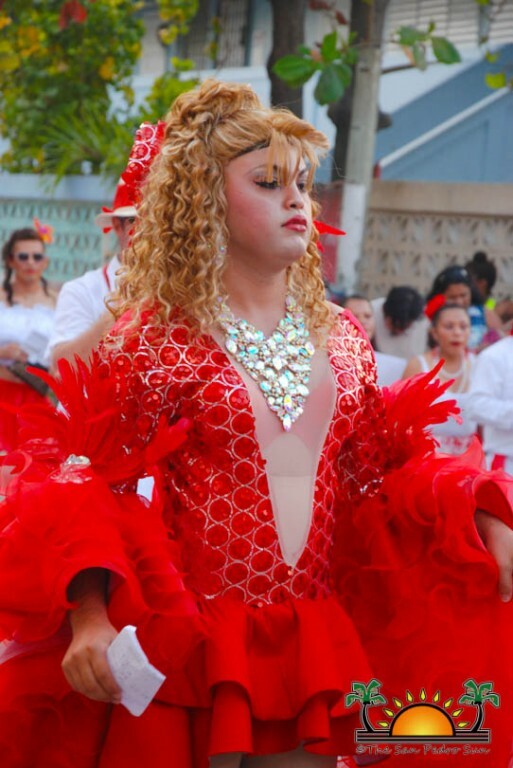 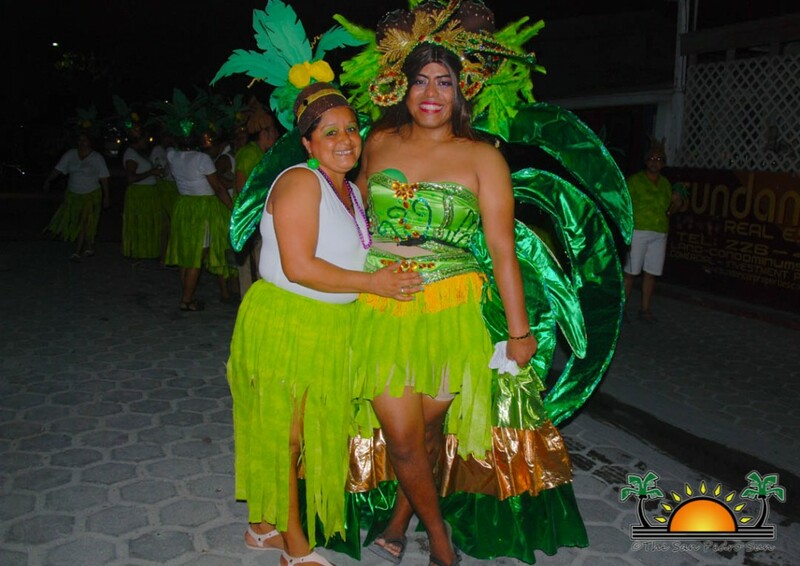 The program included several different performances and even a tribute to the late ‘Carnavalista’ Felix Ayuso, who was very instrumental to the Carnaval. 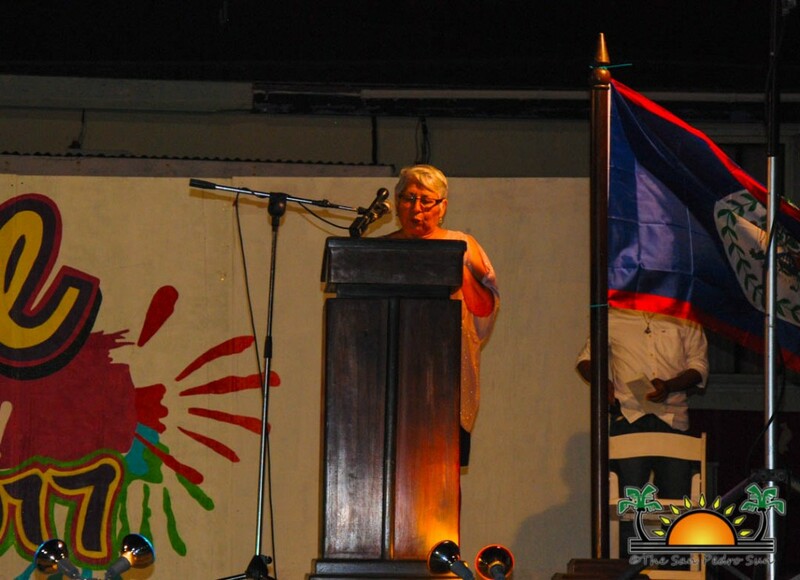 A video presentation depicting his life with messages from friends and relatives made for an emotional moment. 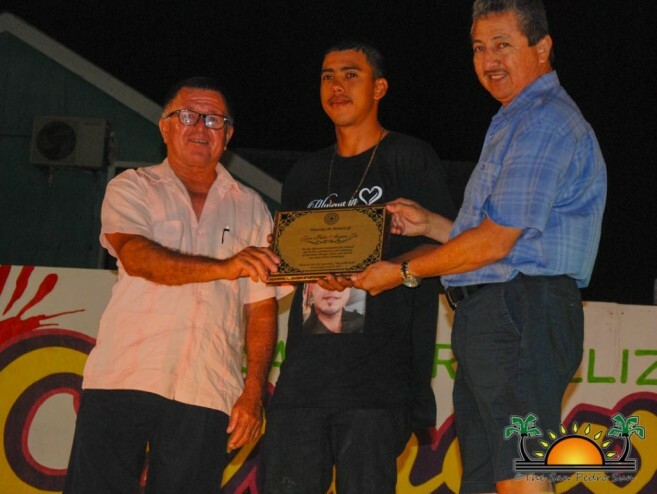 At the end Ayuso’s son, Joran Ayuso was presented with plaque to commemorate his father’s life by Mayor Daniel Guerrero and Area Representative and Minister of Tourism and Civil Aviation, Honourable Manuel Heredia Jr.
On Sunday, February 26th, the three-days of comparsas presentations and painting along the town core of San Pedro kicked off. 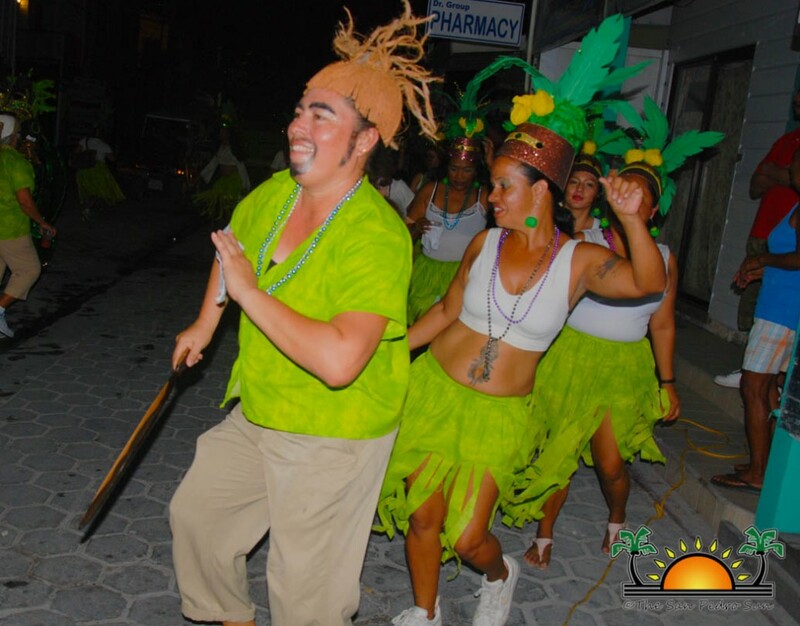 From 1PM traffic access on Pescador Drive and Barrier Reef Drive was closed. 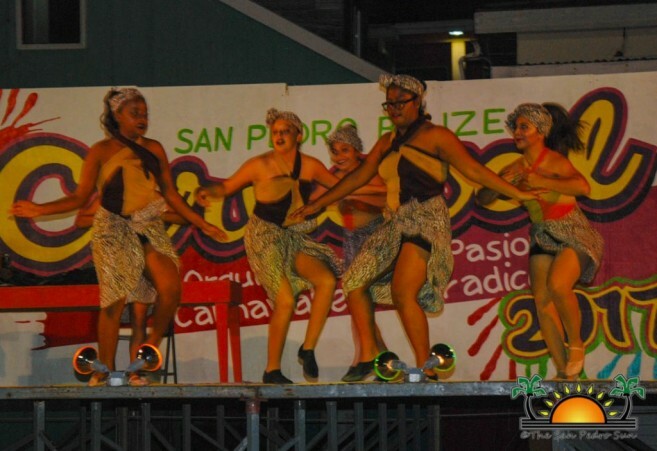 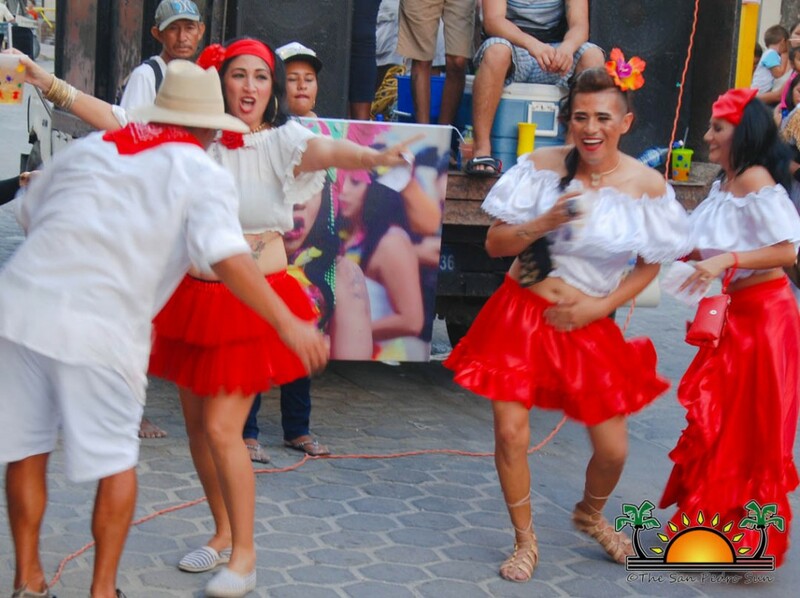 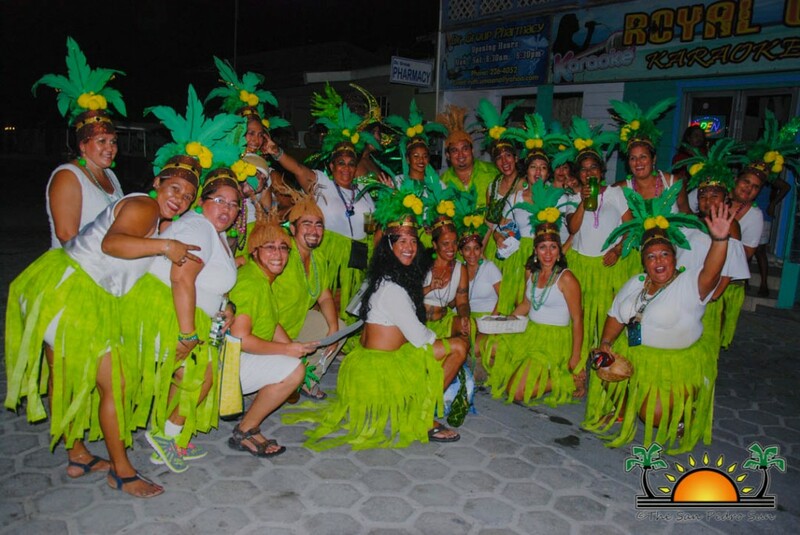 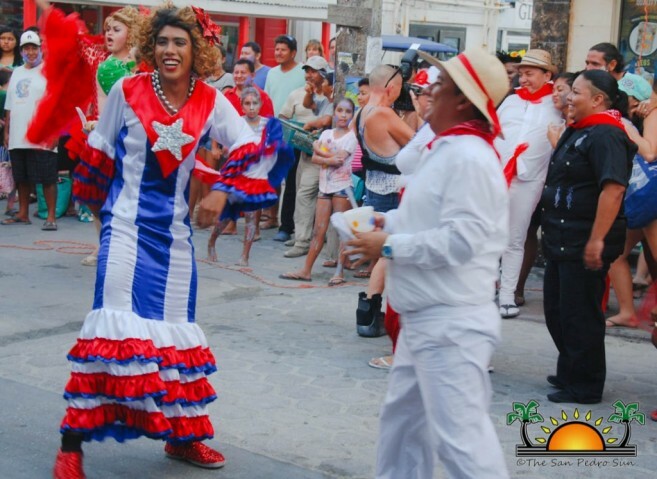 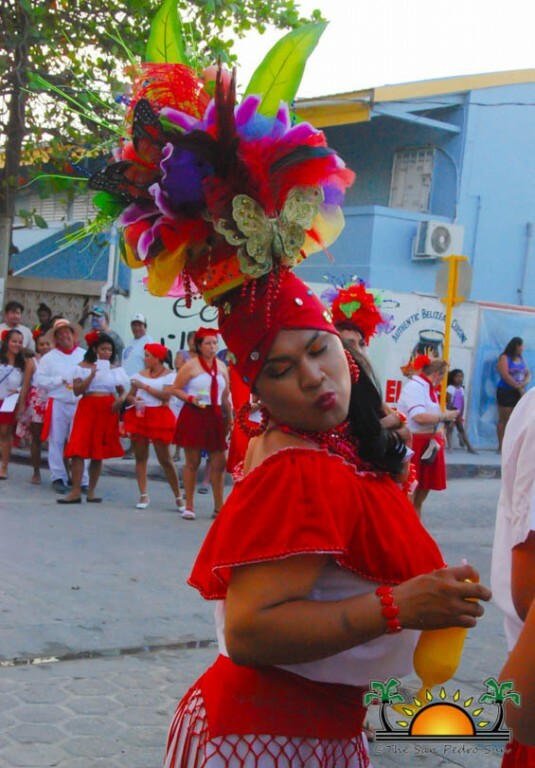 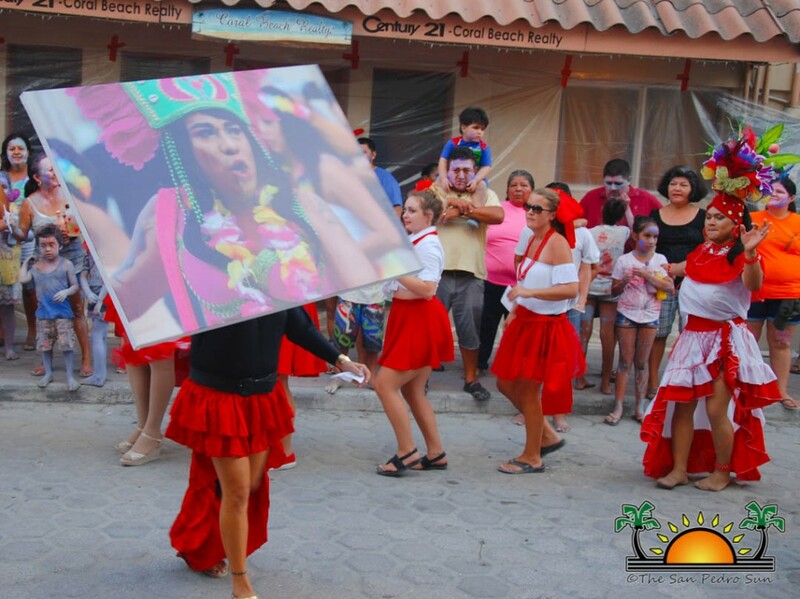 The different comparsas groups (San Pedro AIDS Commission, Doña Flora Ancona, Jaguar Girls, and Las Tejedoras) brought much fun and entertainment to the spectators who danced and sang with them during their performances. 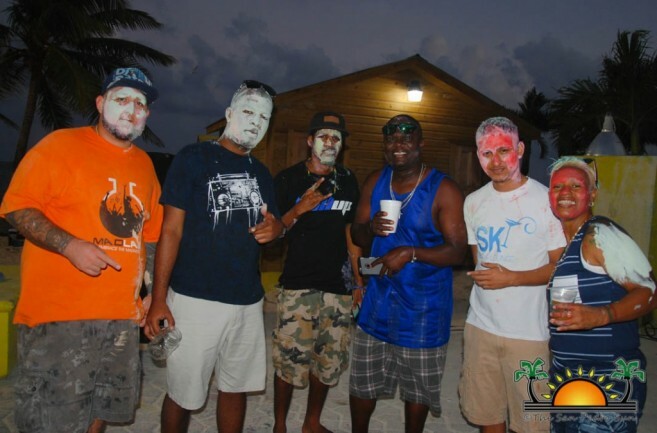 Then at 6PM a beach and painting party was held at the Central Park. 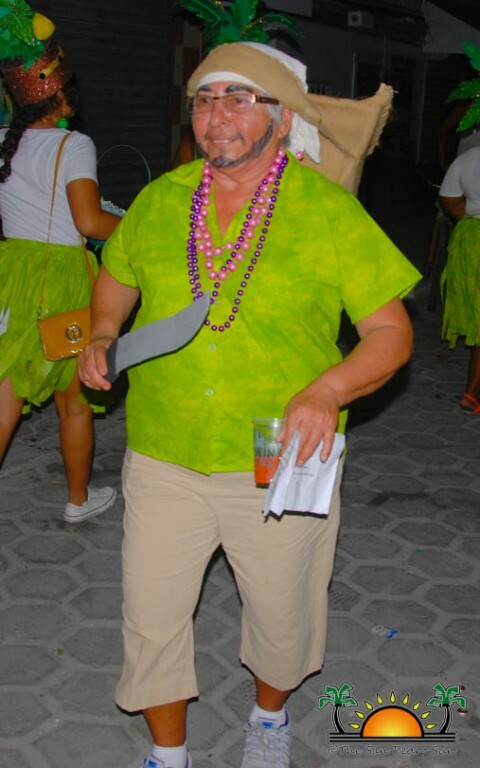 Keeping everyone entertained with music by Air Invasion Sound, DJ Hypastatic, and DJ Debbie. 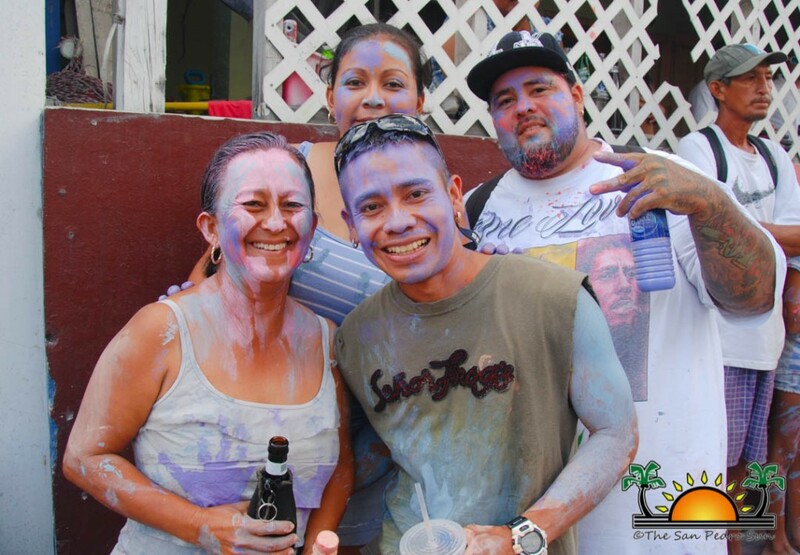 The fun continues today, Monday, February 27th, starting at 2PM with another round of comparsas presentations and painting through the streets of downtown San Pedro. 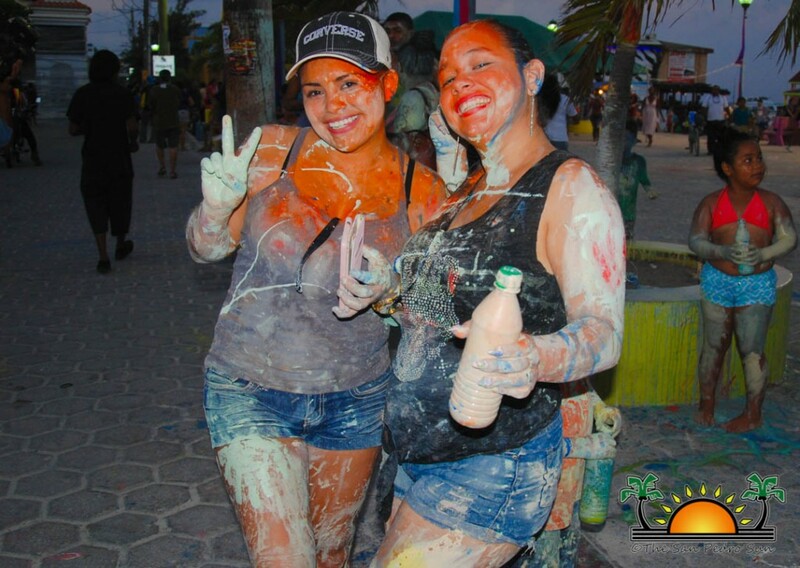 There will also be a Foam Teen Party at the Central Park ending at 6PM. 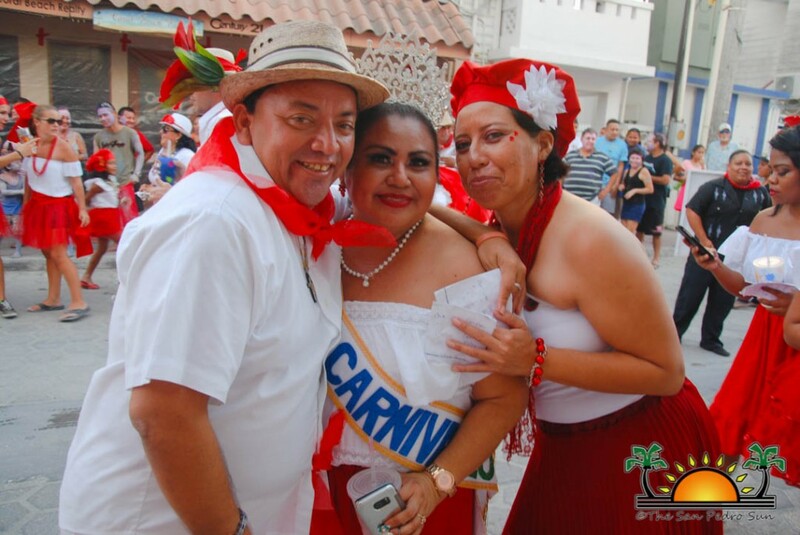 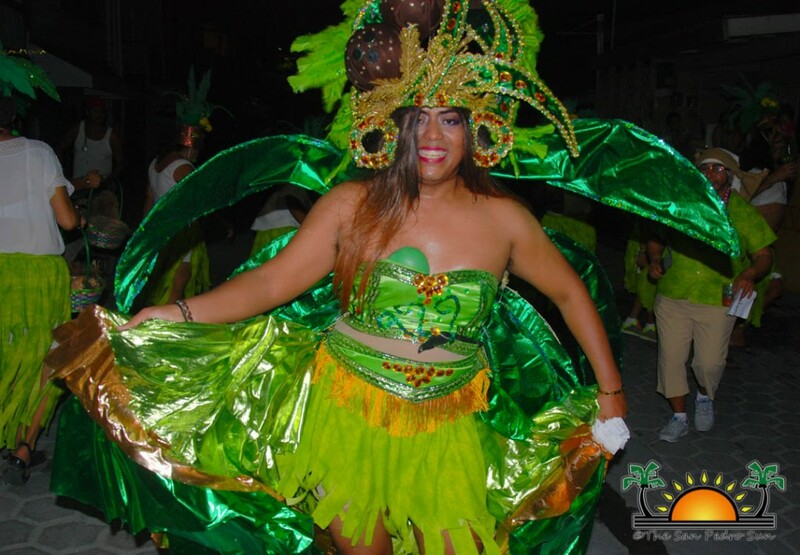 El Gran Carnaval de San Pedro is approaching!